post. Hartz Dog Pads are America’s #1 brand of dog pads and are available nationwide at Walmart, Amazon and your local grocery store. Hey, readers!! Today’s post is all about my baby boy, Bernard! It has been a while since I have done a post on him. Bernard is now a year old and still the biggest baby ever! He is 90 pounds of pure puppy. That is the best way to describe him! 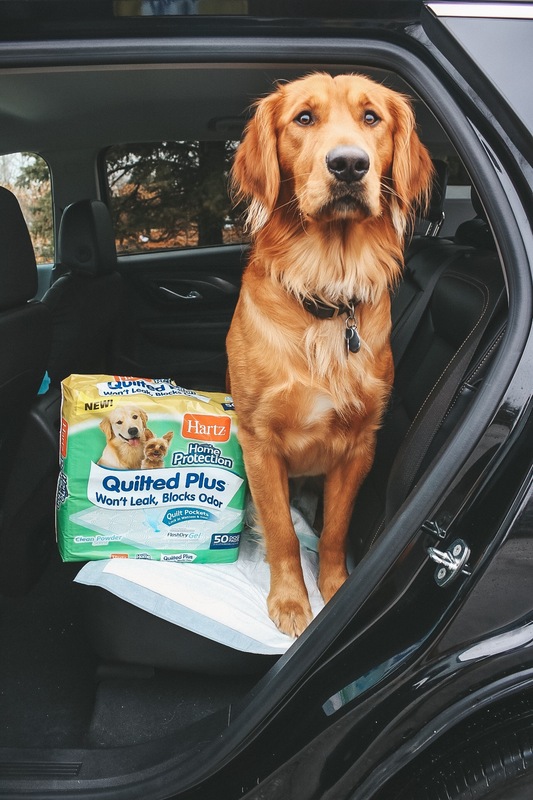 With that being said, he loves to make messes (insert dramatic eye-roll), which is why we are talking about Hartz Home Protection Quilted Plus Dog Pads today. Winter time in Nebraska is no fun in terms of snow and bringing in messes from outside, especially when you have a big dog! I don’t know about you, but I feel like I am constantly cleaning my floors! Hey, Hubby…why did we go with dark laminate again?! We have had Bernard ever since he was 8 weeks old. If only we would have known about Hartz Dog Pads when we first got him! Bernard was a typical puppy and he peed EVERYWHERE. Luckily those dark laminate floors that I was just complaining about came in handy, so messes weren’t as bad! 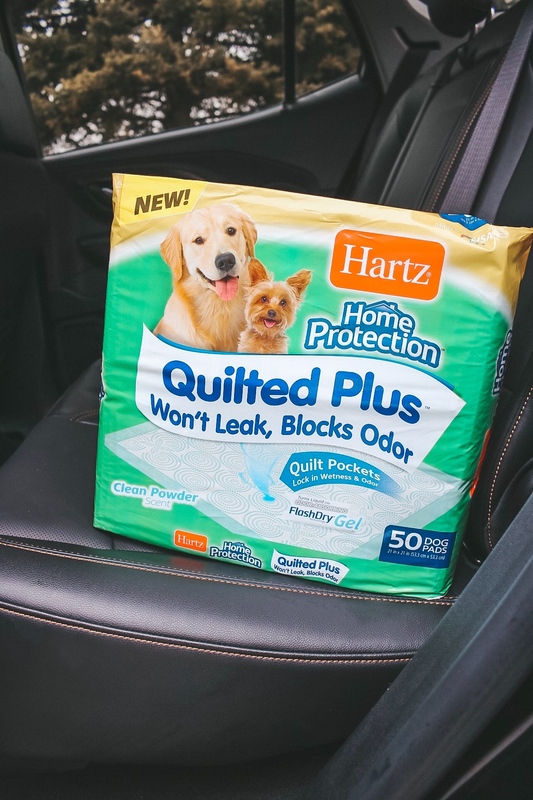 The fast-absorbing quilt pockets of Hartz Dog Pads lock in moisture and neutralize odors such as urine, so these babies would have been a life saver! So many paper towels wasted…ha! Also, the FlashDry gel technology locks in moisture, so you can be sure all messes are safe with Hartz Dog Pads. Now that Bernard is older and potty trained, he goes everywhere with us! We always try to take him to places that dogs are allowed like the hardware store, greenhouses, and dog parks. We are away from him so much during the week due to work, we enjoy our extra weekend time with him (and our daughter, of course!). He is such a loving dog, the least we can do is take him out of the house with us for errands! Plus, he gets compliments everywhere we go, too ;). He really is such a handsome dog. I mean, look at that boyyyy! Ugh, obsessed with him. The more life goes on, the more I realize that a black interior car does not go well with a toddler and a Golden Retriever. You see EVERYTHING. 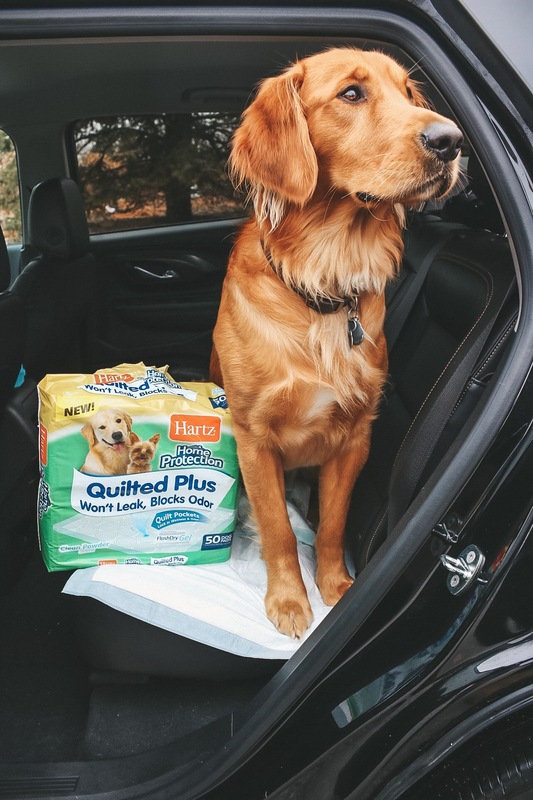 Thankfully since we have tried Hartz Dog Pads, the dog messes have been minimal. 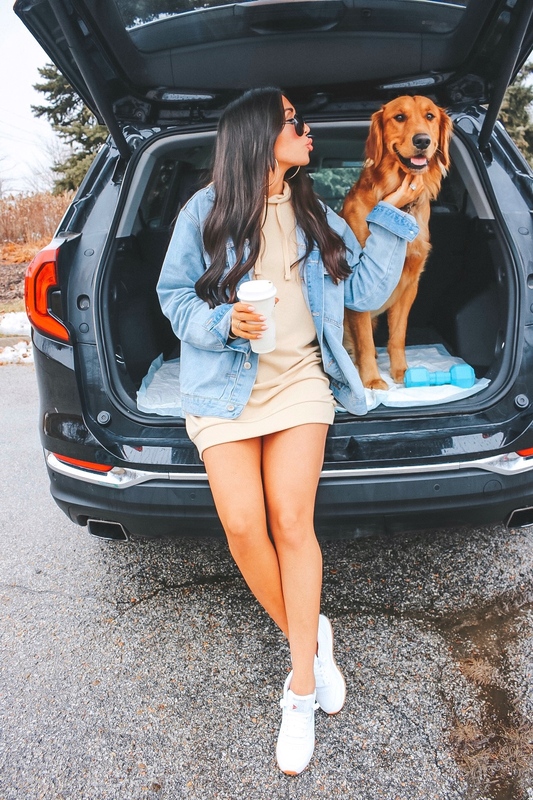 Hartz Dog Pads are America’s #1 brand of dog pads and are proven to outperform against competitors, and after using them I completely believe it! Bernard is a big boy, and these pads still work wonders. Like I stated earlier in the post, Nebraska winters are brutal and messy. 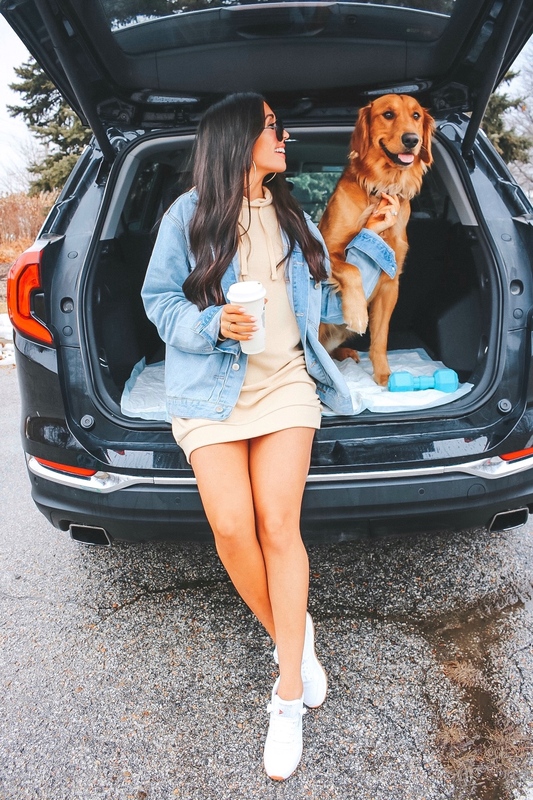 Getting in and out of the car makes more of a mess than it would in the Summer time so we are truly thankful we found a product that will be our next go-to! Can you tell he loves car rides??! That face! Hartz Dog Pads are available nationwide at Walmart, Chewy.com, Amazon and at your local grocery store. Get yours today and I trust you will love them as much as we do! Have a great weekend, babes!